Working at Height and Rescue – Wind Turbines re-certification training course covers the basic safety and competence required for personnel working at height within a wind turbine. The course applies to both on-shore and off-shore activities. The one day course is intended for wind turbine personnel who are knowledgeable of climbing PPE, and using it regularly to climb wind turbines. If you are not climbing wind turbines regularly, it is recommended that you book onto the 2 day GWO Working at Height & Rescue – Wind Turbines training course. On completion of training, participants will renew their GWO Working at Heights certification. The training course is approved by the Global Wind Organisation and fully meets the requirements of the Global Wind Organisation Basic Safety Training Standards Working at Heights Module. Global Wind Organisation certificate valid for 2 years from assessment date. ARCH photographic ID card issued. From 17 October 2016, delegates who attend a GWO Training course must create a profile in WINDA www.winda.globalwindsafety.org in order to get a WINDA ID which they must supply to ARCH prior to completing the training. The same WINDA ID follows you through your career in the wind industry and must be used by you for all future GWO training. The WINDA ID is a unique, random and system generated number which serves as the main Delegate identification. It is therefore important that you always keep your WINDA profile active and up to date and supply employers and Training Providers with your ID when requested. When you have successfully completed a GWO Training course, ARCH will upload the record of the completed course into WINDA. It is therefore important that you create a profile in WINDA and supply ARCH with your unique ID before you attend a training course from October 17, 2016. You need to register as a Delegate at www.winda.globalwindsafety.org (from October 17) via the “Register” option. Choose to be registered in WINDA as a Delegate and fill out the required information. You must only register for one profile in WINDA. If you have multiple WINDA accounts, the Training Provider will not be able to upload records to each account and your accounts may be closed without warning by GWO. You can view your own training records in WINDA and print a copy of them. Any records of training that have been completed prior to October 17, 2016 will not be added to your profile. Therefore, you will still need to present your previous certificate(s) to your employers/site owners until you attend the refresher course which will then be added to your profile in WINDA. 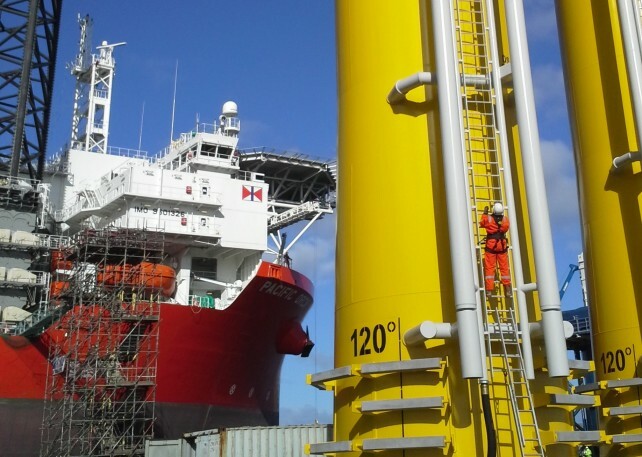 Candidates undertaking refresher re-certification training for GWO Working at Heights must undertake training and re-assessment before the expiry date of their current RUK Working at Height & Rescue – Wind Turbines/GWO Working at Heights certificate. GWO Working at Heights re-certification training and re-assessment is conducted in 1 day (8 hours). Those attending should be medically and physically fit to carry out the practical part of the course and free from medical contra-indications that may prevent them from working safely at height (A list of conditions that could affect practical training and work at height is available on request). Course participants will be required to self-certify their medical and physical fitness before commencement of the course. Any persons weighing over 136KG should advise ARCH before booking on this course. Candidates must hold a valid and in date GWO Working at Height certificate to enrol for one day re-certification training. The certificate must be in date on the date of the re-certification course. If the certificate has expired by one day or more then candidates must complete a two day course. Participants should be aged 18 years or over. From 17 October 2016, participants must supply ARCH with their WINDA ID. To book a place on this course simply fill out your contact details below and a member of our team will contact you to arrange your place on this course. Copyright © 2015 ARCH. All rights reserved.